@sheikmusicldn caught our attention little under a year ago with his on point mixing at one of our favourite club nights OiOi at Vauxhall's Fire. 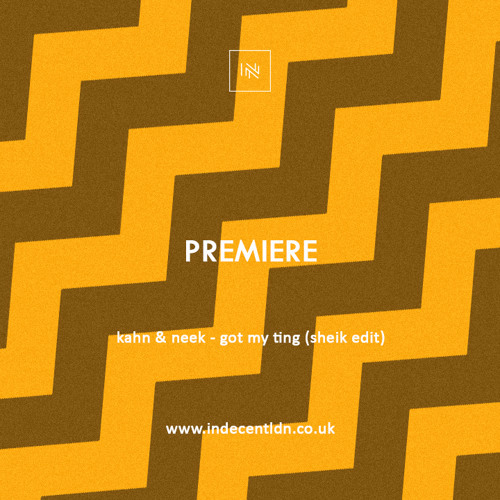 It was no surprise when we first heard this edit of Kahn & Neek's classic 'Got My Ting', we learned Sheik was just as good making tunes as he was behind the decks. Though his sets are mostly filled with grime bits, Sheik likes to explore lighter genres such as Latin, jazz and other world genres - using his blog 'SH!' as an outlet for it. Sheik's Facebook: https://www.facebook.com/sheikdsmusic Sheik's blog 'SH! ': https://shmusictalks.wordpress.com/ Enjoy.